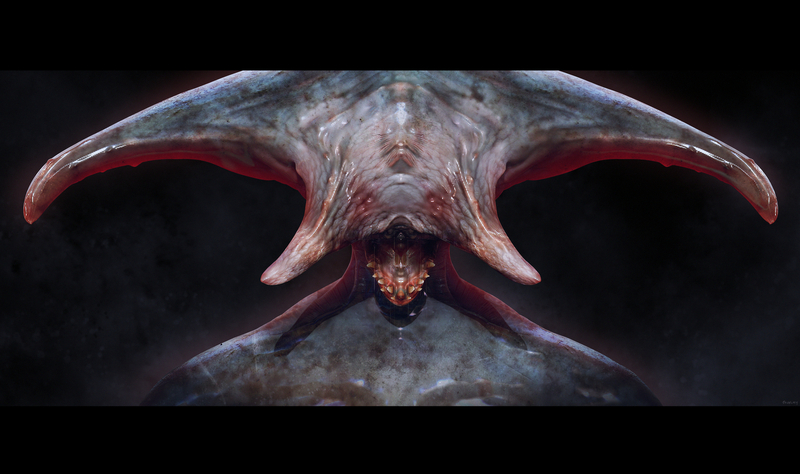 Here is a personal project I've been working on its creature bust, Lately I've been learning zbrush trying to explore a new techniques that I could develop into my work flow, taking to what I know in Matte Painting and Concepts I can get better sense of creating creatures. So here my latest work just trying expand my horizons. This creature bust was a little free style in the beginning using Dynamesh, Dam Standard then it meta morphed into hammer shark and sting ray with different renders of materials and lights though zBrush and heavy post texture work in Photoshop. Hope you guys like it. Enjoy! !